80-year-old Ali Ungar comes across a book by a former SS officer describing his wartime activities in Slovakia, and realizes that his parents were executed by the officer. Ali sets out to take revenge but instead finds Georg, the officer’s 70-year-old son, a retired teacher. Georg, who had avoided his father all his life, decides to find out more about him and offers to be Ali’s interpreter. 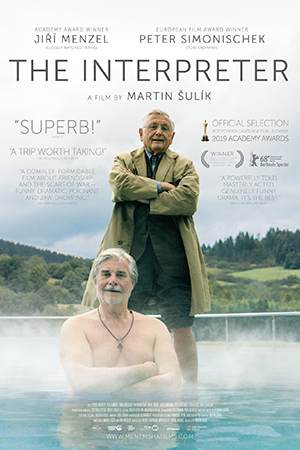 The two old men, opposite in everything, embark on a bittersweet journey to meet surviving witnesses of the wartime tragedy. They discover a country eager to forget its past. They realize their memories are fragments mixed with their imagination and interpretation. They connect in silence and manage to discover their own identity.